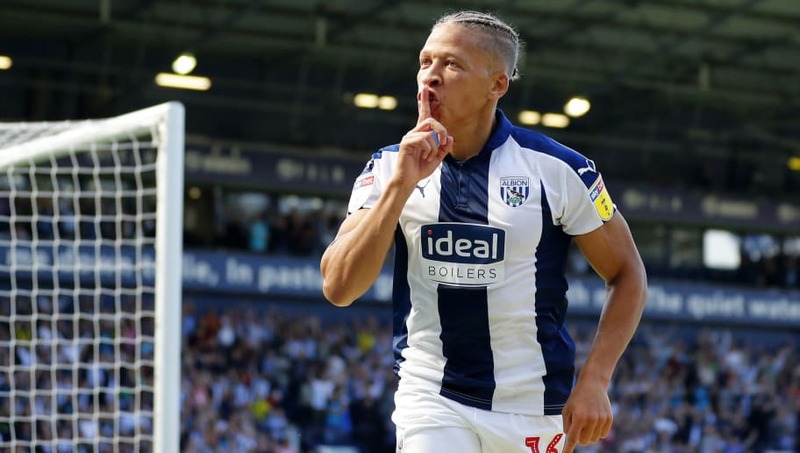 On-loan West Brom striker Dwight Gayle has ​said a permanent switch to the Midlands side 'could be on the cards' after his hat-trick in the 4-0 win over Rotherham helped keep the Baggies in the promotion hunt. The 28-year-old joined on loan from Newcastle in the summer, with Salomon Rondon going in the other direction, and has been a hit at the Midlands club since arriving, with his treble taking him up to 13 goals for the season. Thanks in part to his contributions, ​West Brom sit third in the ​Championship table behind Norwich and leaders Leeds, as they seek an instant return to the ​Premier League, and some have called for the striker to be signed on a permanent basis. While remaining coy on his future, however, the English forward said that a permanent move could be on the table in the summer. "I don't know really, it could be on the cards," he said, as quoted by ​Express and Star, after the emphatic win at Rotherham. "For me, the most important thing is getting promoted this season and finishing in the top two. We all know what we've got to do and we've got a lot of hard work before the end of the season to do that. I'm loving it here at the moment and hopefully that continues." While Gayle's words give little away about his long-term future, manager Darren Moore was even less committal in his assessment, saying that discussions are low on his list of priorities at present. “We’ve not even spoken about that," he said. “We’ve got him here. It’s a swap deal with Rondon going the other way. All we’re doing is focusing on the football."